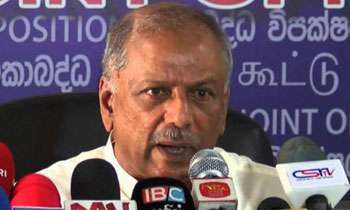 The United People’s Freedom Alliance (UPFA) will raise the question of the government delaying the conducting of provincial council (PC) elections in Parliament this week, a party official said yesterday. UPFA MP for the Colombo District Dinesh Gunawardane told Daily Mirror yesterday that Speaker Karu Jayasuriya had requested for time to clarify his position on the matter. “Now, the Speaker is back in the country. We will ask him about his position,” Gunawardane said. Elections to six provincial councils still need to be conducted. My Goodness!! All of you guys mind is in gear 24 X7 for elections and elections only! First do your jobs for the citizens.